being little • bristol uk fashion & lifestyle blog. : lace & polkadots. This dress is from Yayer, and I'm pretty sure I'm going to wear it on New Year's Eve. I love the fabric (it's all swishy - great for dancing in) AND it has pockets! I'm a sucker for a dress with pockets. It's a lovely deep burgundy, which seems to be making its way into my wardrobe rather a lot lately..
Have you found your perfect party dress? What are you doing for Christmas? Ooooh I love them both! Ohh wow, I love both of them, they are the exact kind of dresses I want to own but can never seem to find when I am looking for them! If that makes sense. I love dresses that flare from the waist. Super cooooot. you are gorgeous! love both these outfits :) I used to have that same green strip in my hair, really miss it! love the dress! looks so floaty! i hope you're feeling much better now too! I love how the first dress kind of matches your hair :) Both are gorgeous-love the new years one in particular, think burgundy and wine coloured stuff is my new favourite! Love these dresses on you girl! The dresses are gorgeous and so is the wonderful lady in them. I wish I had more courage to step outside of the box more often, not being the smallest of girls I do get stuck into the black dress trend. I really need to find a way to express myself in my clothes. Both dresses are gorgeous, I especially like the first one though!! Ooh I love the first dress! 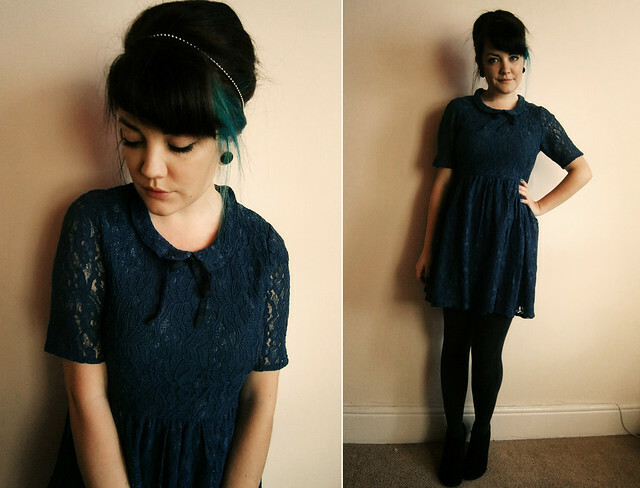 The colour is so nice, and you can't go wrong with lace and a peter pan collar haha! 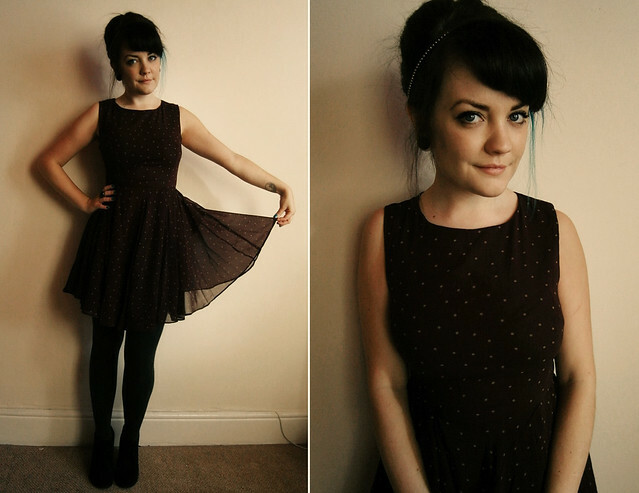 Oh I ADORE the Yayer dress! And your hair look spectacular, I can never get a beehive to work for me! love both these dresses but have to say how much I love the Yayer one and how much it suits you! Im exactly the same when it comes to dresses with pockets - stylish and practicality is always a winner - and for cold hands too! Stop being so bloody beautiful! Oh lady, you look so beautiful! Love your hair like this, & gorgeous dresses! both dresses are so sweet! These dresses are so wonderful! They look fantastic, going to have to check out the websites for both of them. I love both of them! I never dress up for Christmas, but I'm thinking about it this year!